The Rais Gabo Gas 3 is discontinued and sold out. 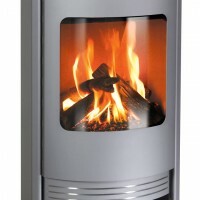 The unique Gabo Gas II stove has beautiful crafted ceramic logs and embers and burns with a natural fire. It is safe and clean to use, and unlike real logs, gas burning does not create ashes or soot particles. 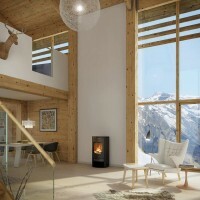 The innovative control system for this stove makes heat adjustment a very simple matter. The Gabo Gas II has been designed according to the best of the Rais traditions where design, quality, functionality and safety are the four corner-stones of all our production. 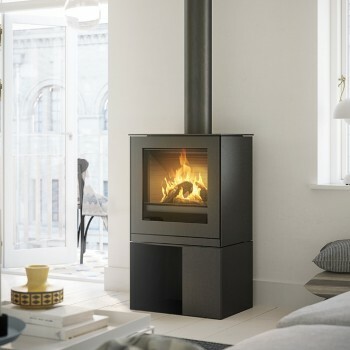 The Rais Gabo is a new-generation stove that embodies a unique, clean and simple design that is easy to use. 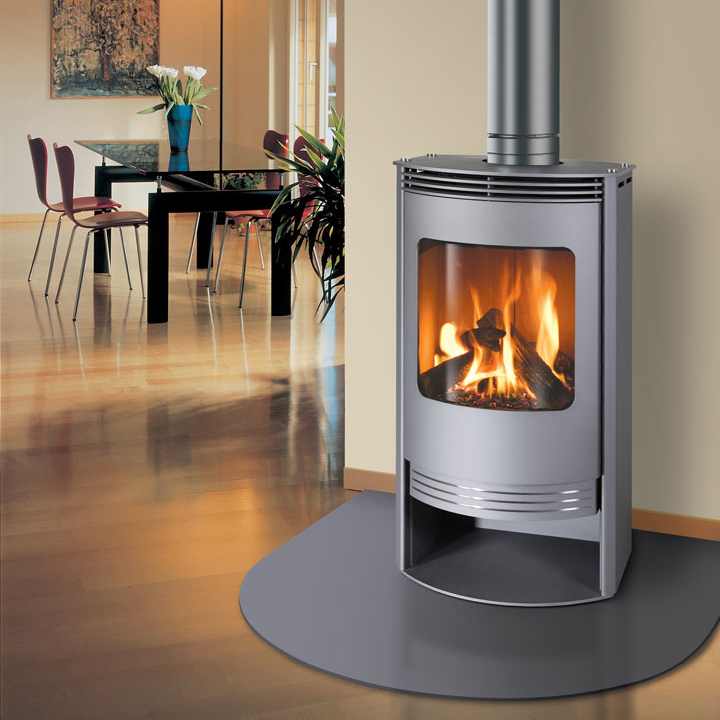 Designed without an ash pan and shaker grate, Rais Gabo has a totally-sealed firebox that ensures optimal combustion control. 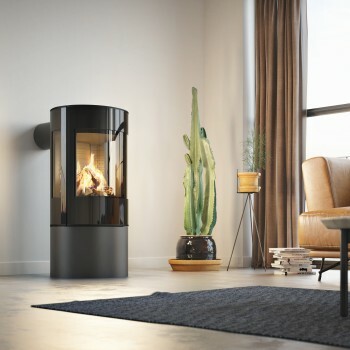 This stove can be enhanced with a turntable, a flexible solution that adds dynamism to any living space and allows for a clear view of the fire and its flames from anywhere in the room. *This stove also comes with a conversion kit to run on liquid propane instead of normal natural gas for no additional charge. Optional soapstone top plate for $720. Optional stainless steel convection grille for $300. Approved for installation without modification up to 2000 ft. elevation. Modification allows installation at higher elevations.